The Wife Between Us is an audiobook of suspense that explores the complexities of marriage and the dangerous truths we ignore in the name of love. You will assume you are listening to a story about a jealous wife and her obsession with her replacement. You will assume you are listening to a story about a woman entering into a new marriage with the man she loves. Discover the next blockbuster audiobook of suspense, from the dynamic minds of Greer Hendricks and Sarah Pekkanen, and get ready for the listen of your life. Listen to the full audiobook edition of The Wife Between Us. Greer Hendricks spent over two decades as an editor. Her writing has been published in The New York Times and Publishers Weekly. 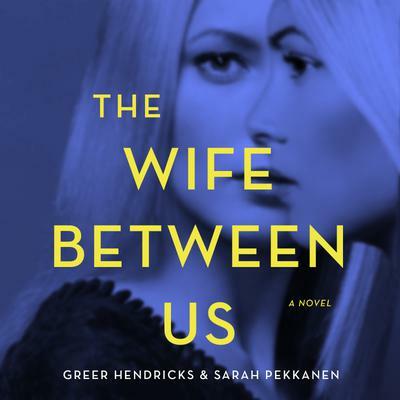 The Wife Between Us is her first novel..
Sarah Pekkanen is the internationally and USA Today bestselling author of seven previous novels. A former investigative journalist and feature writer, her work has been published in The Washington Post, USA Today, and many others..